Born in Winchester, Virginia in 1932, Patsy Cline was a pioneering country music singer who died in a tragic plane crash at age 30. Her iconic voice and inspiring personal story has made her an enduring figure for generations of music fans. More than 40 years after Cline’s death in 1963, her country music legacy endures. Cline was the first solo female singer to become a member of the Grand Ole Opry in 1960, and the first woman to be inducted in the Country Music Hall of Fame in 1973. Cline’s “Greatest Hits” album continues to appear on the country music charts. “Crazy,” one of Patsy’s best-known songs written by Willie Nelson, was named the number one jukebox hit of all time. More recently, Patsy was ranked #1 on the CMT Countdown of the 40 Greatest Women In Country Music. Although she began her career in country music, she is considered one of the original “cross-over” artists, as she also achieved popularity for her pop music. Located in a working-class neighborhood in the City of Winchester, Virginia, this modest house was the residence of Patsy Cline (Virginia Patterson Hensley), who lived here from the ages of 16 to 21, when she married Gerald Cline. Patsy resided here from 1948-53, longer than at any other house associated with her in the Winchester and Nashville areas, and she returned to it intermittently until her singing career began in 1957. Walk where Patsy Cline walked, see where she lived, slept and spent her “prime years” while pursuing her music career. Experienced guides help tell the story of the gritty young woman who rose to fame, overcoming numerous personal obstacles. The Patsy Cline Historic House is on the National Register of Historic Places and the Virginia Landmarks Register. 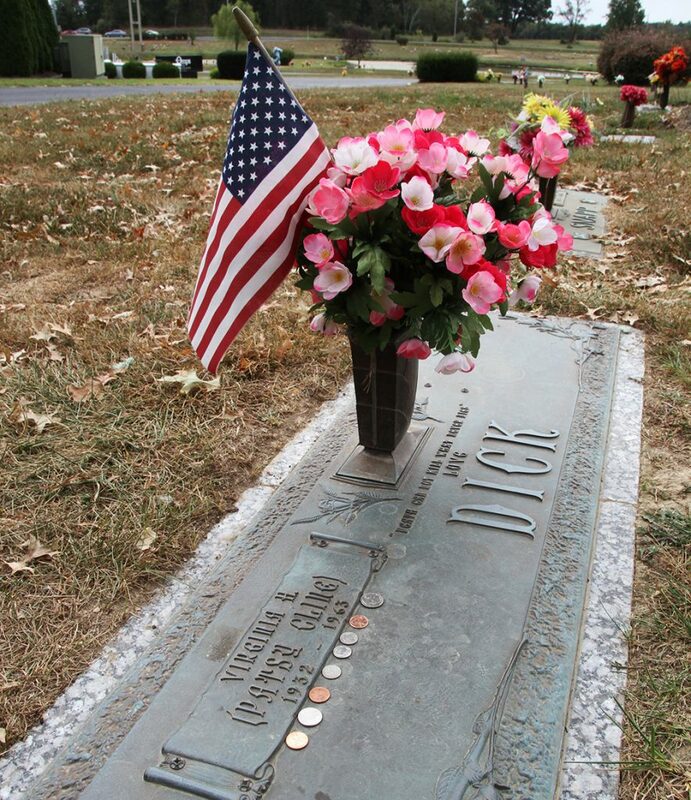 Patsy Cline is buried at Shenandoah Memorial Park, 1270 Front Royal Pike, Winchester (Patsy Cline Memorial Highway). Fans can pay tribute to Patsy at her final resting place and see the bell tower that stands in her loving memory. Bring a penny to leave as a token, as many have done throughout the years. 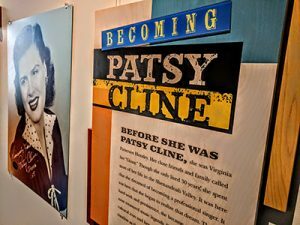 Becoming Patsy Cline is a condensed version of an exhibition on Patsy’s formative years that was on display at the Museum of the Shenandoah Valley (MSV). Through a partnership with the MSV, Celebrating Patsy Cline, Inc, and the Winchester-Frederick County CVB, the exhibition is now on view at the Winchester-Frederick County Visitors Center, free of charge and open 7 days a week. The Visitors Center also sells Patsy Cline CDs and souvenirs. Every Labor Day Weekend, a music event and block party is held in Winchester to celebrate the life and music of Patsy Cline. The event coincides with the Always Patsy Cline Fan Organization’s annual gathering. 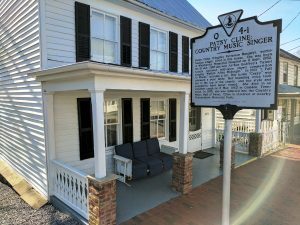 Take a self-guided driving tour of some of the sites associated with Patsy Cline’s life in Winchester. The tour begins at the Winchester-Frederick County Visitors Center and the Becoming Patsy Cline Exhibition. Are you a tour director or motorcoach tour operator? 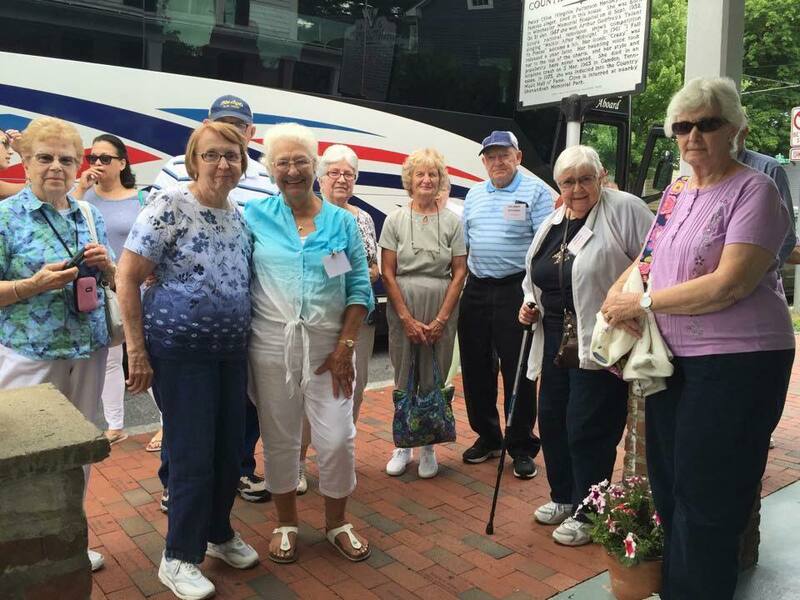 Consider bringing your group for a Patsy Cline themed bus tour!